As a die hard University of Kentucky fan, there are few things I dislike in the world more than the Duke Blue Devils and the North Carolina Tar Heels. However, I do respect both programs and the success that they have had over the years. HBO films just put out a documentary about their famous rivalry named "Battle for Tobacco Road." I haven't gotten a chances to see it yet, but like most sports docs from HBO I am sure it will be great. 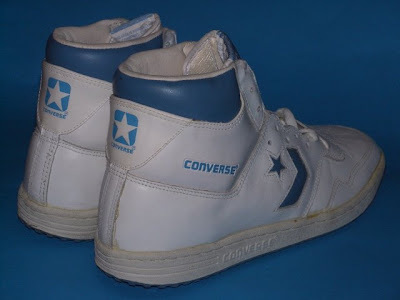 So to honor that and a time when Converse was worn by the elite of the elite in college basketball, I bring you today's Friday Flashback. 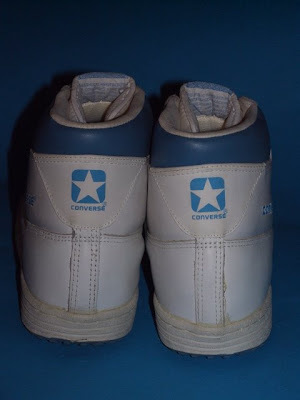 These Converse Startechs are in the simple yet classic white/Carolina blue colorway. 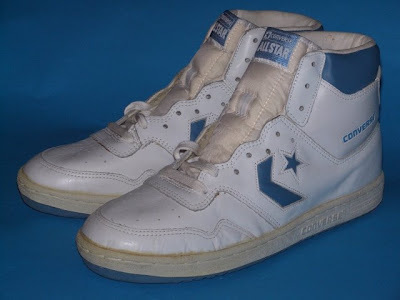 If you look carefully at the documentary you might even see these same shoes. The Startech's have been re-issued in Japan for a number of years now, but have yet to see an American release. Thanks for checking out the blog, and have a great basketball filled weekend!